If there’s one task in this world that everyone loves to hate, it’s laundry. There’s simply no escaping it. Or is there? Check out these 8 easy ways to put an end to the never-ending cycle of, well, never-ending cycles. 1. Presort by Color and Material – Why dig through dirty hampers to find like colors when you can just do the work right from the get-go? Buy an extra hamper or two for easy sorting and save those few precious minutes for something more enjoyable. 2. 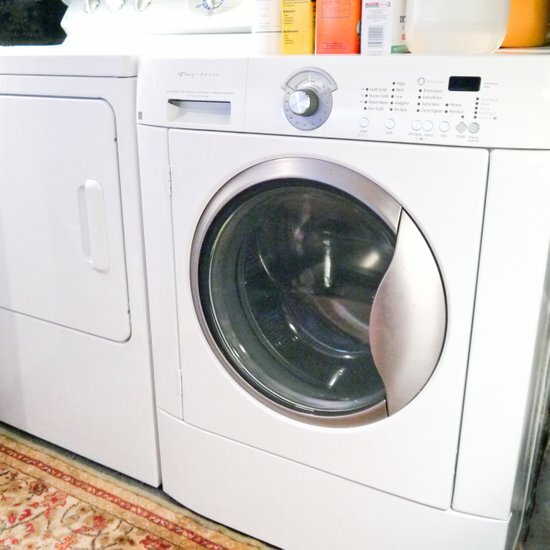 Wash Items Faster – If you’ve ever wondered what the Quick Wash setting on your washer was for, you’re overthinking it. It does exactly what it sounds like. Assuming your clothes aren’t caked in dirt, try the Quick Wash option and you can cut your time by as much as half. 3. Dry Items Faster – Turns out there’s a trick for this one as well. Next time you throw a load in the dryer, add in a nice, dry, fluffy towel and watch it do what a towel does best. 4. Eliminate Lint Balls – Is your sweater suffering from a lint-festation? No worries. Just use a pumice stone to rub them loose, then let a lint roller pick ‘em right up. 5. Work out the Wrinkles – You know what makes a great iron? 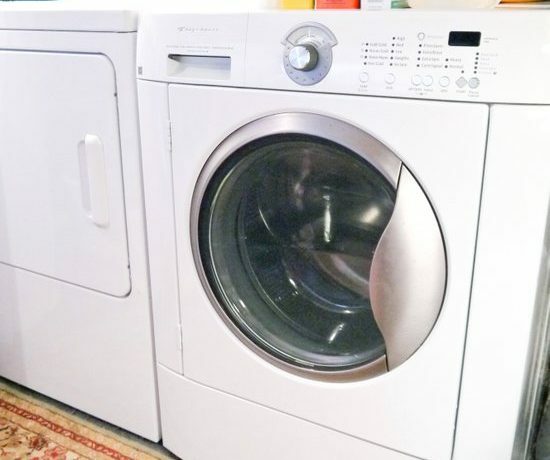 A dryer. Just throw in a small, wet towel with your dry, wrinkled item and it should be wrinkle-free in no more than a few minutes. 6. Ironing Pleats – Have some nice, pleated slacks that are not-so-nice to iron? Try using bobby pins to hold the pleats in place. Talk about simplicity! 7. Un-shrink Clothes – It may sound like magic, but we assure you this one’s for real. Just fill up a sink of lukewarm water, pour in a capful of baby shampoo and let the garment soak it in for about five minutes. After removing, squeeze out the excess water but do NOT rinse it. Next, lay out the garment on a dry beach towel and roll it up inside to soak up even more. Then, on a new towel, lay the garment out once again, but this time, stretch the loose fibers until they’re officially back to their original size and shape. 8. Comforter Cleaning – Most comforters are WAY too big to fit in your washer or dryer. Fortunately, you can always head to a Laundromat, the dry cleaner, or simply air it out on a clothing line. While none of these tips will get you completely out of laundry duty, they sure can come in handy. Give ‘em a try this week and start freeing up time to enjoy the better things in life – like just about anything else.